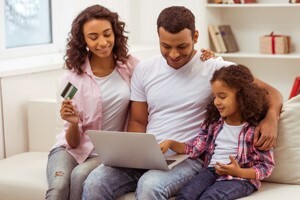 Depending on how much you use your credit card every month, you could be in line for some significant financial rewards. These bonuses depend on not just how much you spend, but who your card issuer is. Read further for airline credit cards. Research has shown that if you spend upwards of R50,000 per month on air travel, you should get the Silver DiscoveryCard Fast Miles card. If your monthly expenditure hovers somewhere between R30,000 and 50,000, you should opt for the Nedbank American Express card. Those who spend below R30,000 in a month should go for the Kulula Credit Card as it earns the highest kickbacks. It was after a comparison of the net kickback rates for various credit cards was done for air travel spending. For the Kulula Card it was noted: reward points, known as KululaMoolah, are earned at a rate of 3% for the first R5,000 spent. The prices keep diminishing by 1% for the subsequent R5,000 spent. For the next R10,000 spent the kickback is 0%. As for the Nedbank cards, you can benefit by purchasing Mango vouchers with your card. So pay R5 using your card, and you will get to 2 Greenbacks. The DiscoveryCard will reward you with one Discovery mile for every R12 you spend to a maximum of R100,000. So if you sign up for a higher annual fee, you will earn a mile for every R6. There are cards for which you make British Airways frequent flyer points (also known as Avios). Among these are the Diners Club, the Standard Bank Credit Card and the Avios Credit Card. For the Avios Credit Card, you earn 1 Avios every time you spend R10. With this rate, you will need 7500 Avios to make a one-way trip from Johannesburg to Cape Town. Hence this is solely for your air ticket; we haven’t factored in tax, carrier fees and other charges. If you’re a Diners Club cardholder, you get to 1 Avios for every R8.5 you spend. It’s slightly higher than what an Avios Credit Card will get you. If you want to glean even more benefits, link your Diners Club card to the South African Airways (SAA) Voyager programme.